The Tenth Annual ASDA Heartland Nationals is complete from the Atoka Motorsports Park in Atoka, OK. David Hauser was the big winner in the Top Alcohol class defeating John Moreland in an all Missouri final round. Joyce Risher drove her “Straightwinder” dragster to the Top Eliminator class win with a Margin of Victory being just .006 over Van Watson in the final round. Kevin Wilson doubled up on the weekend adding to his Friday Quick 16 win with the Pro 1 Cars victory. Robert Fauske was victorious in Pro 2 Cars while Nick Allen was the champion of the Pro 1 Quads class. Day two of the Heartland Nationals is complete from Atoka Motorsports Park in Atoka, OK. “Johnny Speed” Moreland put his “Totally Disturbed” dragster in the #1 spot in Top Alcohol while Joyce Risher is the low qualifier in Top Eliminator with a 2.970. The Pro 2, 3, and 4 Quads as well as Peewees eliminations were also completed (click “Read More” for results) as well as more time trials for Pro 1 and 2 cars as well as Pro 1 Quads. The day was capped off by the annual Saturday night dinner in Atoka hosted by Rod and Dee Trower, this year put on in the memory of the late Butch Trolinder. “Read More” for the rest of the day’s results. 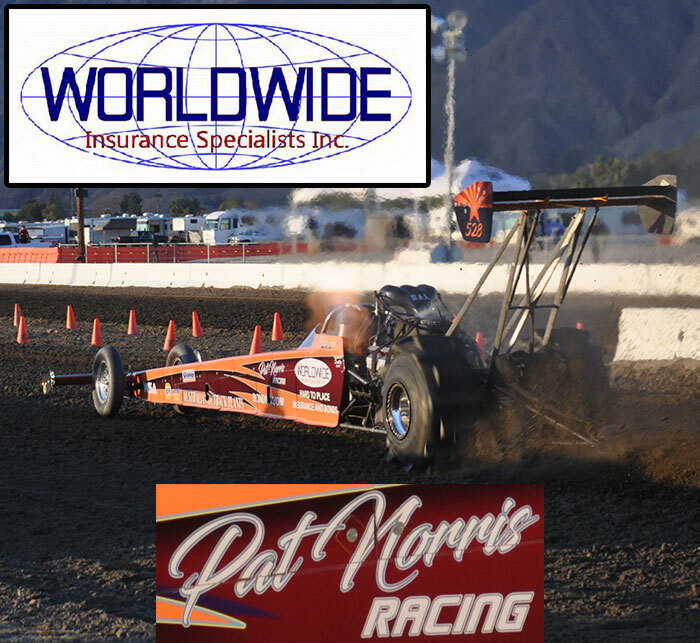 - John Moreland jumped to the top spot in Top Alcohol with a 2.823 with his “Totally Distributed” dragster. - Rod Trower pedaled on his best pass to the second qualifying spot with a 2.839. - Joyce Risher moved into the Top Eliminator class, and is in the top spot with a 2.970. - Terry Glasscock improved to the #3 spot with his 3.035 pass. - Terry Crawford, Mike Smith, and Kenny Kapple all had problems and are out for the weekend in TE. The tenth annual Heartland Nationals is underway at Atoka Motorsports Park in Atoka, OK. Warm weather and sunny skies greeted racers for the first day of the traditional Memorial Weekend race. David Hauser set low E.T. of the day in Top Alcohol with a 2.840 to sit on the provisional top spot heading into Saturday. Van Watson is the current leader in Top Eliminator qualifying with a 3.023. Today’s big winners in the Quick 16 bracket classes were Kevin Wilson (Cars) and Kirk Whitlow (Quads). Saturday’s racing action consists of the final two qualifying sessions for TA/TE, Junior and Pro 2/3/4 Quad Eliminations, and time trial passes for the rest of the classes. Stay tuned throughout the weekend for more from this race. - David Hauser brought out his “Lethal Threat” dragster from Missouri and led the TA class with passes of 2.840 and 2.869 on the day. - Joyce Risher made two nice passes on Friday with a 2.970 and 3.030. - Rod Trower broke his transmission in the first qualifying session, then elected to skip the evening session to prepare for Saturday’s qualifying. - Van Watson led the TE field with two excellent passes of 3.023 and 3.042 with his nitrous fed Small Block Chevy-powered Dragster. - Terry Crawford made the haul from Las Vegas, NV with his “Yabba Dabba Doo” Dragster and sits second with a 3.089 on his only pass of the day. - Dee Trower ran a 3.121 and 3.241 in her “Fast Forward” Dragster on Friday.